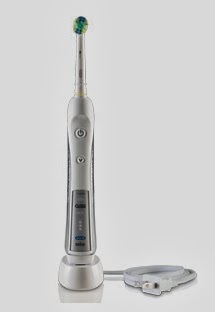 Picking the best rechargeable electric toothbrush is not always easy. We all have different needs when it comes to cleaning and taking care of our teeth, but recently I discovered some amazing Oral-B Toothbrushes that are easy to use and are effective in removing tartar and hard to remove plaque on the teeth and at the gum line. Today, I would like to share with you four of my favorite Oral-B Electric Toothbrushes that clean thoroughly and efficiently teeth and strengthen gums to help keep them in tip- top shape, but before I get started, I would like to mention that around the world, Oral-B is the #1 dentist-recommended toothbrush brand and it is easy to see why. It is a blessing to own and use even just one of these Oral-B Professional Care Toothbrushes, because they easily remove stubborn plaque build-up, help fight gingivitis, and keep teeth looking their best every day. The aforementioned toothbrushes clean teeth much better than any standard toothbrush I have ever used and do a much better job of keeping my teeth cleaner and whiter than any other brand of electric toothbrushes I have previously used. From my own experience, I believe that everyone should try using an Oral-B Professional Care SmartSeries Electric Toothbrush. With such a great variety in the product line to choose from, I know that there is a toothbrush for you!